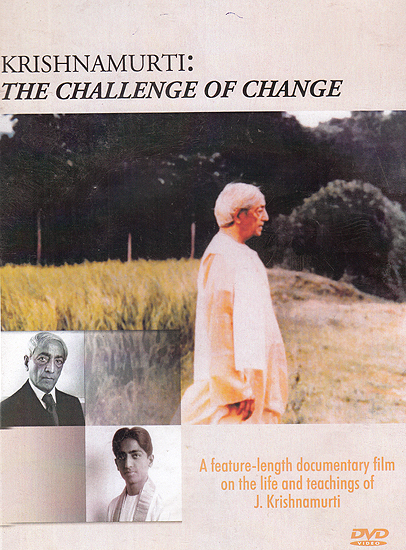 A feature length documentary film on the life and teachings of J. Krishnamurti. The Challenge of Change is the compelling story of J. Krishnamurti who is recognized the world over as the most original of all thinkers and religious teachers. An excellent introduction of Krishnamurti’s life and teachings this definitive feature length film documents his life from boyhood to his mid-80s. using rare films and photographs gathered from archival and private collection throughout the world the film narrates with great sensitivity how Krishnamurti who was proclaimed the world teacher by the Theosophical Society and groomed for that messianic role, rejects all organized religions and declares in a historic speech in 1929 that truth is a pathless land and that one cannot approach it through any religion any method. The film presents clearly the salient aspects of his teachings such as the need to reject all spiritual authority and the importance of understanding ourselves in the mirror of relationship being aware of one’s hurts pleasures, fears, sorrows, and so on and thus bringing about a radical change in our consciousness. Through intimate interviews and public gatherings the depth of Krishnamurti’s message is conveyed he speaks in England. Switzerland, India and the United States.